Going on Holidays? Regular travel for work? Did you know that Benton Insurance Services offers a competitive product on Travel Insurance! 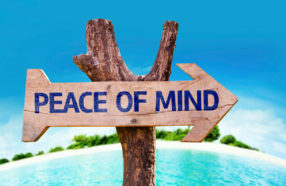 With a range of benefits to ensure that if things do go wrong you are protected – from the simple replacement of lost luggage to trip cancellation expenses or the potentially huge cost of overseas medical treatment, it is the peace of mind so you can enjoy every single minute of your travels. Click on Travel Insurance to complete our online quote form. If you have any queries please do not hesitate to contact us. The Peninsula Aero Club is a flying training school & club located at Tyabb Airport on the Mornington Peninsula. We provide flight training for all licence levels from Private to Commercial. Our instructors are professional in every way and this will be reflected in your training. We consider our students as individuals and not just a number. We give our full dedication to each student whilst you are flying or studying for theory exams. The Commonwealth Clydesdale Horse Society (CCHS), established in 1918, has endeavoured to create a society that will continue to collect, verify, preserve and publish in its Stud Book, the pedigrees of pure bred horses throughout Australia. As the society enters the 21st century we remain committed to the promotion of the pure bred Clydesdale Horse free from hereditary unsoundness. The CCHS, through its Federal Council, will investigate, arbitrate upon and settle disputes and questions relating to these registered horses, in the interest of the breed and its members. The society will value and maintain the high breed standards inherited from those past breeders who established the Clydesdale Horse in Australia and who provided us with the rich legacy of “The Breed That Built a Nation”. Peninsula Business Networking Incorporation (PBN) is a Non for Profit Association founded in 2007. Steered by a dedicated Committee of volunteers, PBN is dedicated to support and promote businesses within the Mornington Peninsula region, creating a positive community of professionals where local and international business ideas and initiatives can be examined and learned from. Responding to the needs of our members PBN deliver a variety of events throughout the year including informative breakfast events, casual evening events and women in business dinner events. We invite you to join our membership community and attend our events to experience the PBN difference. HERE at Benton Insurance Services we pride ourselves on our personalised service. Our clients are all diverse ranging from individuals, to farmers to business owners to families, so when it comes to assisting them with their insurance we do all the hard work, finding our clients the most competitive policies on the market. We understand that every client has different needs so we can take the time to tailor a policy for each and every client to ensure it suits their needs. ‘Living in Far North Queensland – Cape York and 41/2 hours’ drive from our nearest city it is imperative that we keep up with all the responsibilities of life especially insurance. Benton Insurance Services provides complete cover for our farm, public liability, livestock, vehicles, house and contents. We do this all by phone or email which is particularly convenient and quick. Stuart and the team are quick to respond to any question or concern. Benton Insurance Services also provides us with cover for our horses at show – in fact they are the only company we have found who readily do this. I have referred everyone and anyone who has asked about insurance whether it be for horses, farm or house and contents to Benton Insurance Services without hesitation and they have expressed complete satisfaction as well. ‘My husband and I went through the recent bushfires in Victoria and we were glad that our insurances were in the hands of Benton’s Insurance Brokers. The staff were extremely helpful and attentive of our need to have our claim handled and settled quickly. The claims manager liaised on our behalf with the insurer and had our claim settled within a very quick timeframe.